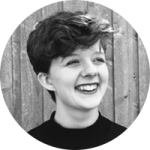 Abby Clarke studied MA Design for Performance at The Royal Welsh College of Music and Drama, prior to this she studied English at the University of Oxford where she spent much of her time designing for theatre productions. Abby’s designs stem from a deep exploration of text and a desire to create theatre that truly impacts and involves the audience. She has designed for a number of venues including the Minack theatre, Oxford Playhouse and New Theatre, Oxford. Her most recent designs include The Little Orchestra’s autumn concert series and Image of an Unknown Young Woman in the Caird Studio, Cardiff.